August was a really good month for me. Of course, it meant a full-month off from school so, I spent days reading and writing, which helped get me through six books this summer! I also had some amazing news(that ended up with me crying I was just so happy) and had summer-fun with my friends. The really amazing news came in the form of one of my poems getting published in a collection with fellow aspiring-poets. I had never planned to get published in a poetry collection, or even contemplate it to begin with, but thanks to everyone who commented on 'Life Itself' when I posted it a few weeks ago, I submitted it into the competition that lead it to the road to publication. It's such a great opportunity and when I got the letter through the post, I was shaking. So, thank you to everyone who left really nice comments on the poem. Blog wise it's also been a fantastic month! Not only did I finally reach one hundred followers, I also got to another goal of mine which was to reach 25,000 pageviews! I've now passed one hundred but seriously, I was so excited to reach it! And to have so many people reading my blog! I did promise that if I reached those goals I would do a Vlog and that is in the works at the moment. I'm hoping to post it next week if possible! I ended up doing some really fun things with family and friends as well this month. I visited Drayton Manor Theme Park with my family, went to see Percy Jackson: Sea of Monsters with friends and then roller skating - which turned out to be quite an experience. As well as these books above, I have almost finish The Soterion Mission by Stewart Ross and am also reading Monsters of Men by Patrick Ness. As Baby Aliens Got My Teacher was only 132 pages, and was a children's book, I reviewed it on Goodreads rather than on my blog as it isn't for the audience of you, my readers! I can't help but choose two for this months, Book of the Month as everyone knows how much I loved Crown of Midnight by Sarah J. Maas! It was everything I could have wanted in the next chapter of Celaena's story, as well as leaving me jaw-dropped. and once I began reading, I couldn't put it down. 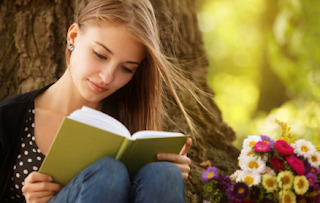 I read it in less than a day it wasn't just a YA Novel, it was a story. A heartbreaking yet, memorable story. This month I've also spent so much time chatting on Twitter with blogging-buddies about everything and anything. It was great to spend so much time rambling, chatting, discussing and revelling in Amber and Hawwa's craziness. Also a big thank you to Charli, Jack, Rita, Ruby, Sunny and Zoe for filling my twitter-feed with blogger brilliance! And to Siobhan Curham and everyone who joined in with our LIVE Goodreads Chat which was so much fun - as Siobhan said it was great to find out which type of cake everyone was. How was your August? Tell me in the comments! *Pictures used in this post are not my own. Congratulations on becoming a PUBLISHED POET! So happy for you :D Definitely had a successful month! 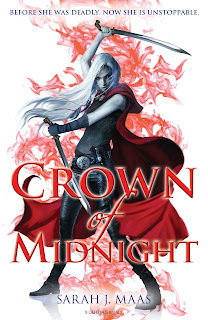 CROWN OF MIDNIGHT! AHHHHH CHAOL! THANK YOU SO MUCH! I really appreciate it! I hope you did too! YAY That is so awesome to have had your poem published. Congratulations, I'm really happy for you. Sounds like you had a awesome month. I also read Crown of Midnight this month so I totally get all the feels you went through. Thank YOU for filling my twitter feed with blogger brilliance. Happy September! Thank you so much, Sunny! I'm so excited! Honestly, it was some of the best news I could get. It was amazing right? Poor Chaol, but woah, I didn't see that coming! Haha! BLOGGERS ARE BRILLIANT - there is no other argument! AW THANK YOU SOPHIE IT'S LOVELY TALKING TO YOU ON TWITTER TOO! ;D And yes, congratulations on having your poem published! 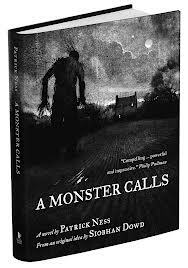 :) Also, I'm glad you loved A Monster Calls as I thought it was just incredible. :D It sounds like you had an amazing month – congrats on 25,000! Also congrats on 1000 comments.